A sad week. 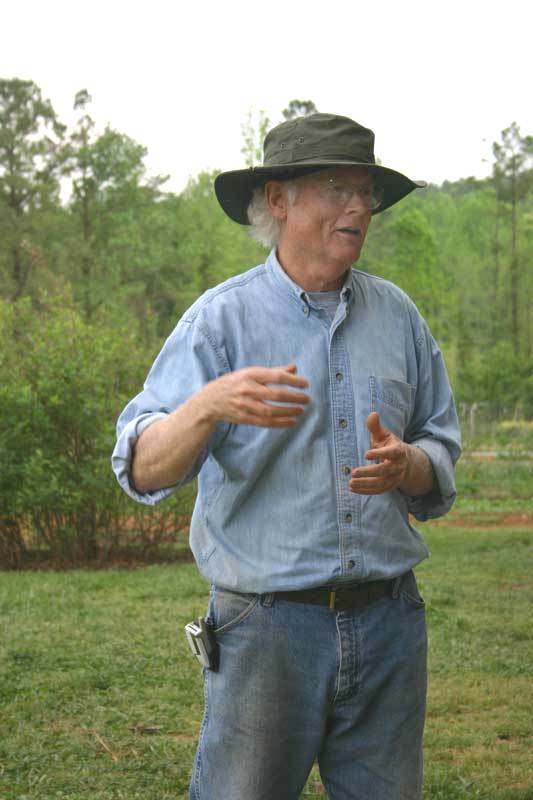 As many of you may already know our friend, fellow market farmer and sometimes co-conspirator Bill Dow passed away unexpectedly. We were travelers on the same road for so long that we had also become old rats in the big barn together. Much will be said about Bill’s accomplishments and life as a pioneer in this area for markets and small scale farms, all true but in the end we also all see people from our own interesting angles. Like many of us who came to small scale sustainable agriculture Bill’s route was unique and he marched to his own drummer the whole way. Bill was typical of the early wave of organic growers who came from either an environmental background or a public health background. I mean anyone who suffers through medical school and ends up not practicing medicine but growing produce instead has a calling. That was just one of the ways that made him unusual. When he saw that it was difficult for small producers to sell their products locally he worked with others to help set up local markets but then he decided that he would focus on selling to restaurants instead. While he helped organize the farmers that would eventually become the Carrboro Farmers’ Market he didn’t actually start selling there until several years later and even then it was secondary to his restaurant business. We were fortunate to work closely with Bill in the early days of the debates over organics and sustainable agriculture and his firm opinion was always expressed but he was also famous for saying “let’s not forget the culture part of agriculture”. Through the years when we would see each other we would inevitably give the other that knowing smile or look that said “it has been quite a journey, glad you were there”. Even with his passing we will still smile and think how glad we are that he was there. The Christmas parade is tomorrow, which ends at the market about 11:30, so you might want to come early. We still have beautiful Celery. Back for the season are Jerusalem Artichokes (Sunchokes). Plenty of the incredible Baby Ginger to go with sweet potatoes or desserts. Plenty of greens this week. Lettuce- Green Boston and Red Leaf. A little more Spinach, it looks great. Lacinato Kale, beautiful tender and sweet Collards. Escarole for soups and salads. It is root season with lots of Turnips, Easter Egg Radish and the storage Watermelon and Black Spanish Radishes. A small supply of Beets. Plenty of sweet Carrots. In Herbs we have Cutting Celery, Cilantro, Dill and Italian Parsley. Still a few peppers mostly Green Bells. Well done, Alex. I certainly did not know Bill to the extent that you did, though he always made everyone feel so valued and special. I loved to see his dancing eyes and be the recipient of his flirting ways and a kiss on the lips. Thankful for his many contributions and his life well lived as an inspiration to others.